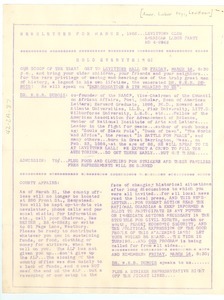 30 results found for: genres:"Newsletters"
Levittown (N.Y.) - Noting and briefly describing upcoming events at the Levittown ALP Club, among them a March 16 address by W. E. B. Du Bois. Philadelphia (Pa.) - Featuring coverage of W. E. B. 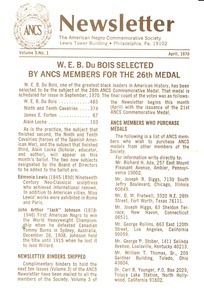 Du Bois's posthumous selection for the Society's 26th medal and describing the history and import of the honor. 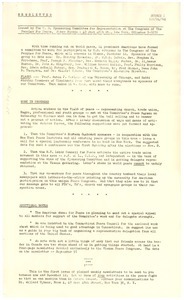 New York (N.Y.) - Relaying news on the formation of a U. S. Committee to attend the Vienna Congress that December; naming its so far sponsors, W. E. B. 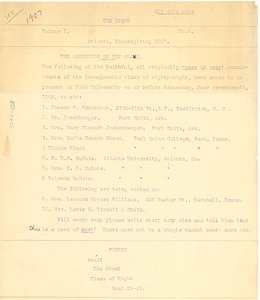 Du Bois among them; outlining work "in progress"; and noting additional news on preparations for the occasion. New York (N.Y.) - Includes a review of W. E. B. 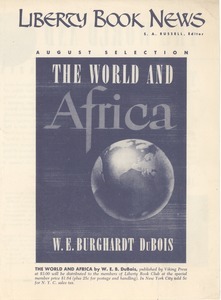 Du Bois' book "The World and Africa" by Herbert Aptheker and selections in the Book Club's Children Book Program. 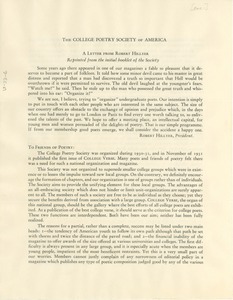 Berkeley (Calif.) - Written by President Robert Hillyer and Secretary Ann Winslow; describing the Society's original foundation and aims, and outlining new ideas and initiatives. New York (N.Y.) - Reporting on the Council's June 17 assembly; describing the addresses made thereat and providing excerpts taken therefrom (among them, one by W. E. B. 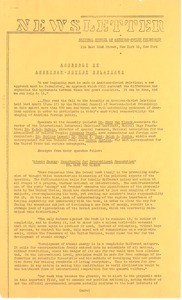 Du Bois on "U.S. and U.S.S.R. Cooperation in the United Nations." 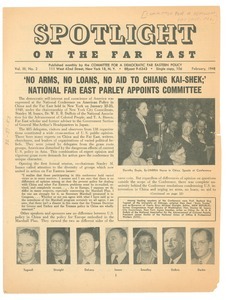 New York (N.Y.) - February issue of the Committee's monthly bulletin, featuring stories on the recent National Conference on American Policy in China and the Far East, in which W. E. B. 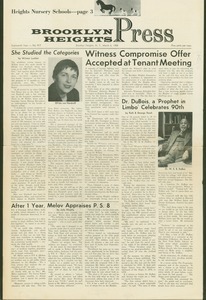 Du Bois participated; reprinting Paul Robeson's "Fight for Freedom" speech, given thereat, as well as resolutions adopted; and summarizing other recent news and goings-on. Remarks made by Du Bois at his 90th birthday celebration in the form of advice to his grandson.